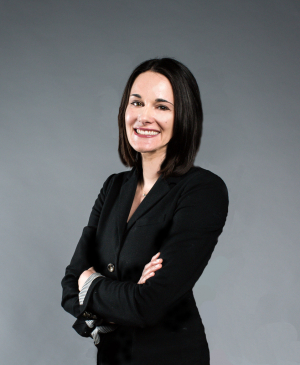 As director of marketing and communications, Micheline Pergande leads the marketing team and oversees the marketing strategy for the Polsky Center for Entrepreneurship and Innovation. 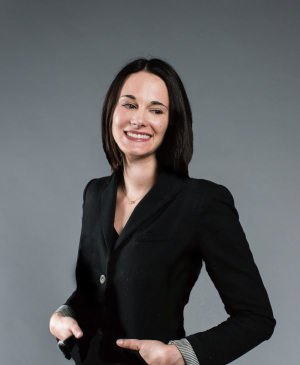 She focuses on defining the brand identity and delivering a consistent experience across all marketing touchpoints. 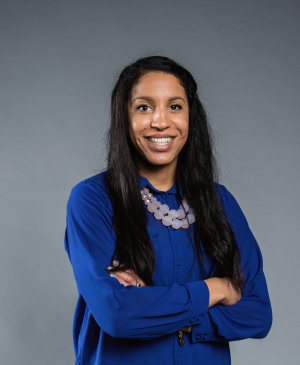 Prior to joining the Polsky Center, Micheline worked in brand management at Unilever Food Solutions supporting category performance in North America for Hellmann’s, Best Foods, Country Crock, Promise, Becel, and I Can’t Believe It’s Not Butter. Before that, Micheline was the senior manager of e-commerce strategy and digital marketing for Chicago-based Argo Tea where she initiated the company’s first-ever gift box packaging concept, facilitated industry-wide recognition as Nation’s Restaurant News Top 50 “2013 Breakout Brands”, managed the company’s social media engagement strategy across Facebook, Twitter, Pinterest, and Yelp, and completely overhauled the company’s e-commerce website in time for the 2012 holiday shopping season. Before her rewarding stint at Argo Tea, Micheline was named director of product marketing for Publicis Groupe’s VivaKi Nerve Center, the R&D hub responsible for developing next generation advertising solutions during the time when the advertising world embarked upon its digital transformation as social media, programmatic media buying, and audience targeting solutions emerged as new core competencies for agencies. 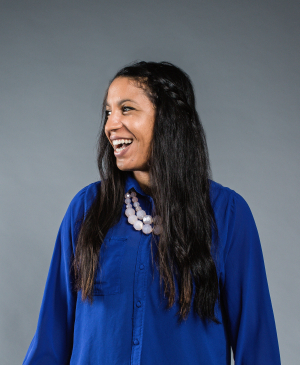 Before becoming a seasoned marketer, Micheline gained technical skills as a web developer in the Bay Area, where she was born and raised. She developed database-driven web applications in PHP and MySQL for her alma mater, Saint Mary’s College of California, before moving out to Chicago in 2006 to attend graduate school. Micheline earned a B.A. with honors in Communication from Saint Mary’s College of California, an M.S. in Integrated Marketing Communications with a specialization in Direct, Database and E-Commerce marketing from Northwestern University’s Medill School, and an MBA with concentrations in Marketing, Entrepreneurship and Innovation, and International Business from Northwestern University’s Kellogg School of Management. She was awarded the Walter Dill Scott Award from Medill faculty. She also earned a Professional Certificate in Web Design from the University of California at Berkeley in 2001. As a proud daughter of an entrepreneurial family, Micheline is passionate about the Polsky Center’s role in supporting students, faculty, alumni and community entrepreneurs with their entrepreneurial ambitions. Micheline and her husband, Shaun, a Chicago Booth ’13 graduate, reside in Chicago with their daughter. 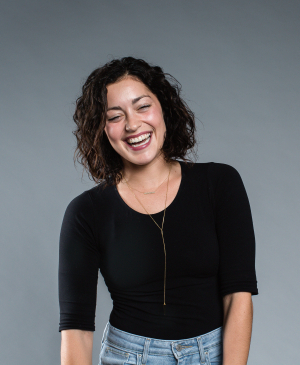 Mariah Montenegro is responsible for overseeing all media relations for the Polsky Center. She manages the Polsky Center website, creates content for digital and print channels, and works closely with program managers to support event and program marketing initiatives. Jessy Tapper supports the marketing and communications efforts for the Polsky Center. 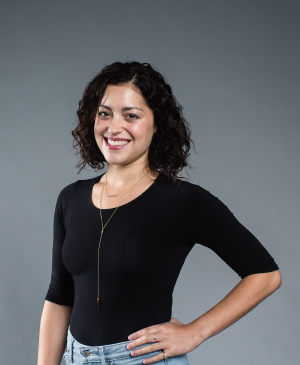 She is responsible for overseeing all event marketing, driving student and alumni engagement for Polsky Center programs, and managing large-scale communication projects such as the annual report and the Polsky Weekly 10. Students and alumni are encouraged to share updates about their new ventures, life milestones, awards, etc. with Jessy.